A pensive, meandering memoir of searching–for the source of both a river and the author’s life. 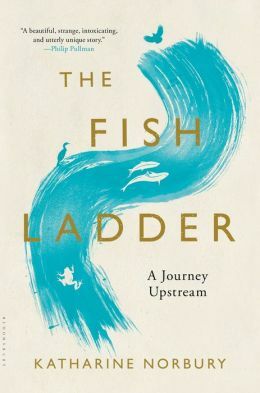 In The Fish Ladder: A Journey Upstream, a memoir of two concurrent paths, Katharine Norbury aims to find a river’s source and to discover her own. She is mourning a recent miscarriage and the loss of her father, taking solace with her mother and her daughter, Evie. Norbury was adopted, and all she knows of the woman who abandoned her at a convent is a name. Neil M. Gunn’s novel The Well at the World’s End inspires her to walk a waterway from the sea to the source, as does Gunn’s protagonist. But Norbury’s journey is clearly also metaphorical, a search for herself and her roots. The route she chooses is not specific: with Evie, she walks parts of several waterways, eventually setting more precise goals along the way, and reaching for Gunn’s work when her plans falter. Her expedition to find her biological family proves to be more challenging, intersecting her pathway upriver, from the location she has discovered is her birthplace. Norbury’s seeking is set in Britain, and The Fish Ladder doubles as an amateur naturalist study of the country’s flora and fauna. She shares her insecurities and questions alongside Celtic folk tales about salmon traveling upriver to the places of their birth. Her story wanders, but in the end makes emotional and profound ventures into landscape, the importance of place and the very real connections between physical and interior voyages. This review originally ran in the August 25, 2015 issue of Shelf Awareness for Readers. To subscribe, click here, and you’ll receive two issues per week of book reviews and other bookish fun! Rating: 5 pieces of chocolate.